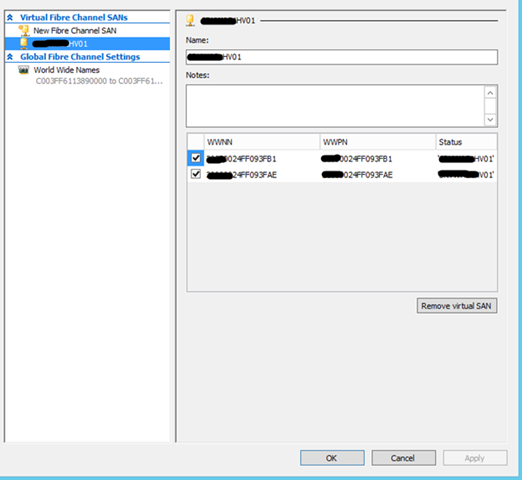 Hyper-V Guest VM´s Live Migration works in IBM PurSystem, just disable Offload data transfer and little more, you must have to correctly create a zoning into the two FC Switches and put 2 FC NICs into VMs and assign to FC vSwitch one WWPN to one vFC Switch and another WWPN to last vFC Switch. beleave me. Its works. 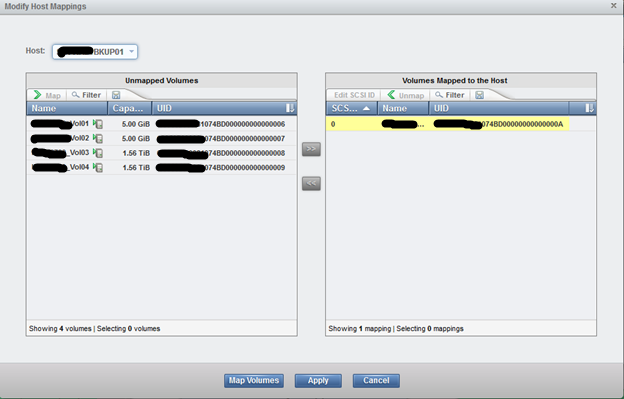 Into the storage v3700 or V7000 must assign manually the WWPN (B) of each vFC NIC for live migration works. Its always shows as degradate or (x) Red, until VMs live migrate and another vFC Switch lets inform this WWPN (B) into the zoning. Sorry for my english, i am from latin america, most precisely Argentina, and mi native language is spanish. Hi There, I have run into an issue getting my Tape library working over VFC. 	Drivers for tape library and LTO drives are latest available. 	Drive and library firmware is all up-to-date. 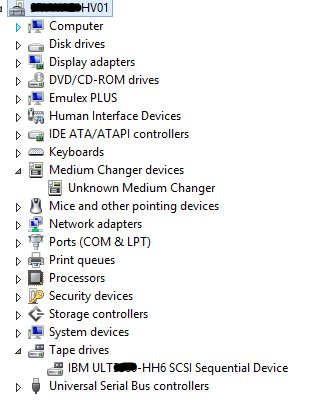 I can see the tape library (media changer) and drives in Device Manager on the GUEST system. Symantec Backup Exec sees the tape library and drives as well. I have successfully initialized and scanned the tape library through Backup Exec. Upon issuing an inventory, catalogue or backup job however the robot loads a tape into the tape drive and the drive spins up and begins to read, immediately following this the job fails with the error that the library reported a physical problem (robot stuck or tape library offline) and sets the library and drives to offline. Now you might read this and think “well you need to contact Symantec support” but I then moved to try the same operations on a second server by backing up and restoring the VM onto a spare physical box and all jobs proceeded normally and worked!!! HP Tape Library and Tools also reports an issue when ran form the GUEST VM “communication with Drive # was lost, the drive may be offline”. The only time the problem occurs is when the data path leads through the virtual fiber. Do you see correct library on the backup exec software? Did you turn on live migration on this backup server. If you so please turn of live migration for backup server and test again. 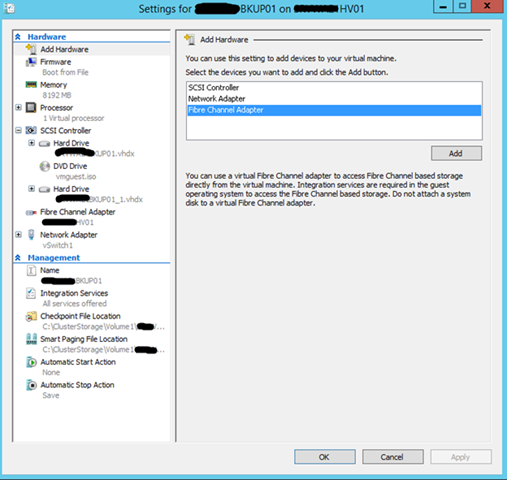 Do you have any fibre channel connectivity issue with Hyper-v Host and Tape Library. run firmware update on all hosts. Make sure host itself see the tape library before guest can see the library. Update backup exec to latest. Install tape library driver into guest OS. Make sure tape isnt locked. Manually run an inventory from the administrative console of tape library and check tape are discovered correctly. I ran into same problem as you experiencing now. My tape was locked and stuck into tape. I had to update the firmware of tape library and reboot twice to make it work. Good luck. Yes I see the correct tape library and all 3 drives in Backup Exec. Live migration is disabled for this server as I only have a single host. 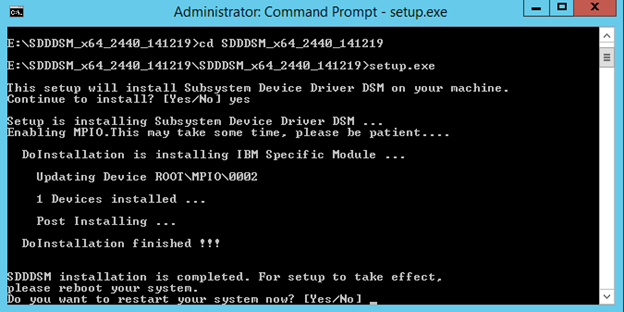 Ran firmware updates and patched to latest version of BIOS, DELL Controllers and iDRAC. Also updated firmware of QLOGIC fiber card to latest. 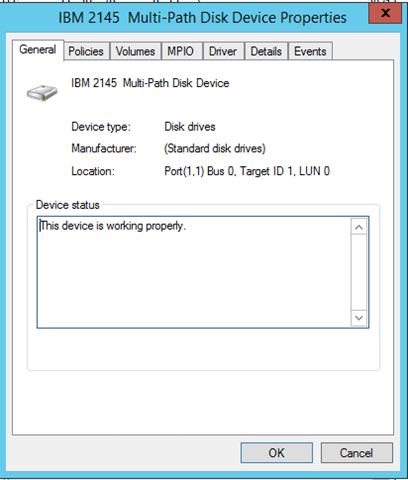 HP Library and Drives are all at latest firmware. Only hardware not on latest firmware is Brocade 200E fiber switch as it refuses to upgrade from v5.3.2c to v6.0.1a (it requests downgrade to 5.0.0, which according to Brocade upgrade path for 200E switch should not happen). Updated Backup Exec, ran all Windows Updates on both the HOST and GUEST. Installed tape library driver into GUEST (tried both the HP drivers as well as the Symantec and Microsoft drivers as per Symantec’s tech support recommendation). Tape is definitely not locked, have tried SONY, HP and Tandberg tapes and found none were successful. Tested on a separate physical server by restoring the GUEST onto the physical machine and re-tested over fiber connection and was able to run backups and inventory successfully using both HP and Symantec Drivers. Tested connection from Host to Tape library and drives using HP Library & Tape Tools and all tests passed. Re-ran the same test from within the GUEST VM (Server 2008 R2 Standard with all updates completed) and it errored out saying saying that there is no media in the driver half way through the test. I am re-building the VM from a clean install at the moment, will report back if that fixes it. Any other suggestions are appreciated???!!! After rebuilding the VM from a clean install of Server 2008 R2 with SP1, I proceeded to do all windows updates, add the virtual fiber NIC, update zoning in my brocade switch (allowing the VM to see the tape drives and library). Next I installed HP Tape Library and Drivers for Server 2008 R2 (x64) relevant to my library and drives. I then installed HP Library and Tape Tools (service then WebGUI) and ran a drive performance test using a base line then 3 levels of compression. Approximately half way through the test it fails (after having already written and read from RAW and 1.6:1 compression tests) with the following error “read operation failed with the OS error – 121 the semaphore timeout period has expired”. Any ideahs? this one has truly got me stumped. I have also now ran the same tests from a different VM running Server 2012 R2 Standard as GUEST OS. Same error occurs “read operation failed with the OS error – 121 the semaphore timeout period has expired”. I am sure this is environment specific error. It is related to your configuration and build of OS & DB. 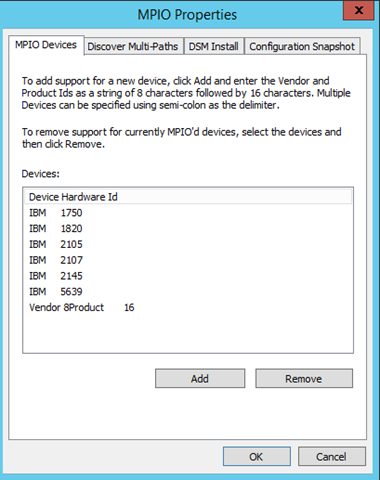 I tried this setup about a year ago with a HP MSL 6480 library / DPM 2012 R2. Didn’t work. The drive communication seemed to work fine, but the library communication was messed up. Contacted MS Product support, and they told me that the ONLY tape library that was working as expected over virtual fibre channel was a _virtual_ tape library. (Disk system pretending to be a tape library) HP Tape tools seemed to work ok, but i’m guessing the tool might talk to the library over ethernet instead of FC. I have tested my article on IBM and Cisco Server with brocade fabric and brocade HBA. It works perfect for me. You have to turn on NPIV on fabric before it can work correctly. I have given up getting this to work for my environment, I was able to test at work with our MSL2024 Libraries with LTO6 FC drives and they worked exactly as expected. Appears to be an issue wherein the LTO4 FC tape drives don’t understand where to send the data back to once its received, IE it receives a command and actions it but then doesn’t know where to send the results of the action back and so the backup server thinks the library has gone offline as it times out from lack of response. The LTO6 FC drives have native NPIV support whereas the LTO4 appears not too, even though the Fabric and HBA supported it, it would seem without support on the drive its not going to work period. LTO4 is out of scope. It won’t work. If client can buy FC Fabric and SAN than they can afford to buy a new Tape Library that support NPIV otherwise no point to spend time. To continue your above discussion, In my humble opinion, I don’t believe it is out of scope. One of the benefits from your article was “Existing Fibre Channel investments to support virtualized workloads.” that being the case we are talking about company’s who have an existing fibre channel SAN and Tape setup not just people who are buying all new hardware. That being the case I would like to ask that for future readers of your thread that you mention that NPIV is supported only on LTO5/6 FC Tape Drives? This would just give even more information to other readers of your blog! Agreed. This bring another question “product life cycle management”. I always find client wants to utilise their on premises hardware until they die. Since IT is the first department in any organisation face budget cut. It’s challenge for CIO to priorities business requirement rather than wish list of system admin. Hence product life cycle goes bottom of the list. Thanks for your input. Storage that is accessed through a virtual Fibre Channel adapter supports devices that present logical unit numbers. 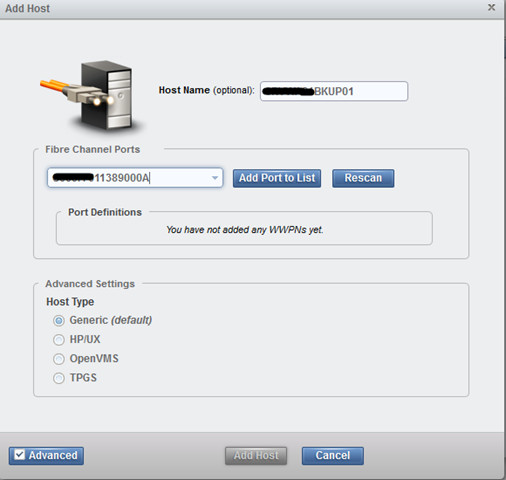 Virtual Fibre Channel LUNs cannot be used as boot media. Fibre Channel tape devices are not supported. We tried a lot, but FC tapes didn’t work correctly. You can purchase any fibre channel capable tape library which will be able to handle virtual FC. 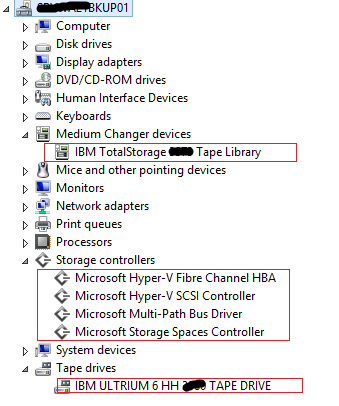 Connect fibre channel tape to fabric and include into the same zone and hyper-v thats all. Sir, I’ve been following your (great) tutorial but I am kinda stuck. Would much appreciate if you can give me your input. 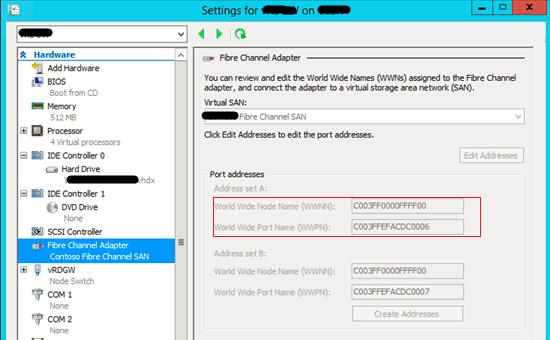 I am familiar with Hyper-V, clusters, VMs etc but not very familiar with fiber channels. I’m not sure where things go wrong but the tape streamer won’t show up the virtual backup server no matter what. I recon it has something to do with the fibre channel addressing but would much appreciate if you can comment on this. I’ve tried pretty much everything. 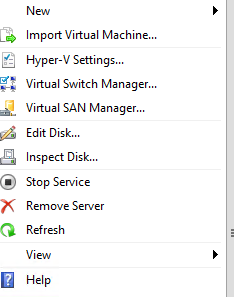 If you have Fabric, add the virtual server in the SAN zone. It won’t show until you add them. Make sure that TS3200 support NPIV, if not, even though the tape library has the correct FC zonification, it cant do well your job. at least it is my experience with the IBM TS3100 / TS3200 with Arcserve…the library goes wrong in relation with itself and the inventory tapes. My issue was, doing this, in a guest server (VM) with FC pass-through in Hyper-v, this problem not occur in physical node. Previous Previous post: See the #fireworks I created by blogging on #WordPressDotCom. My 2014 annual report.